Hiphop has had its place in the senegalese music scene for well over 10 years now and it has evolved into an own blend of infectuous music. Just like most rappers from Dakar/Senegal, Alif see themselves as the voice of their generation. They are like the title of the CD says the Dakamerap: the camera that documents everything happening in Dakar 24 h a day. They rap about overloaded minibusses without functioning breaks, careening down the street out of control. Alif describe a group of young guys who are sitting together hiding from daylight. They only leave home at night. They feel ashamed because they have no job and no money. Then there is the story of a businessman who takes people’s money promising to organise them visas. Then he runs away with their hard earned savings. In Porose Bi (the process) Alif rap about house servants that are only paid very little but have to work like slaves. If anything happens in the house they are held responsible. 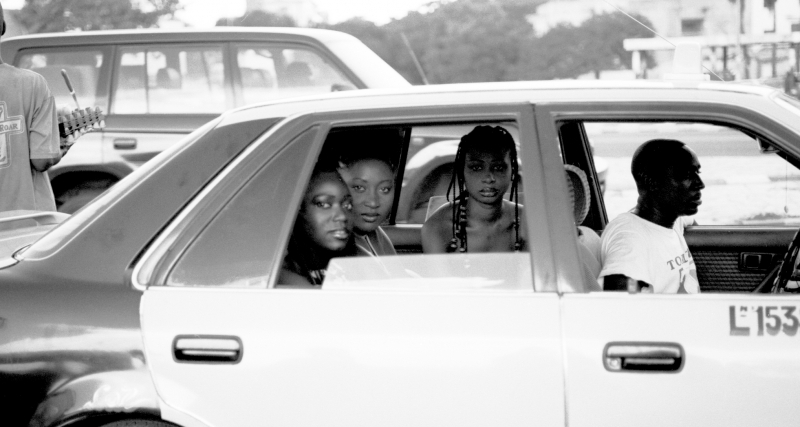 There are about 2000 crews in Dakar the center of westafrican hiphop. 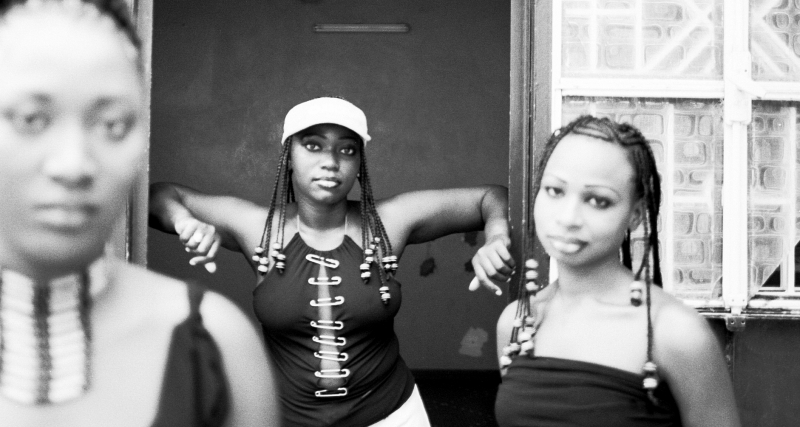 How influential the voice of hiphop is in Sengal could be seen during the elections of 2000. The senegalese youth was mobilised to go to vote and after decades in which president Abdou Diouf was in power, he was finally voted out of office. 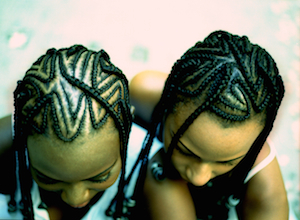 Women are still exceptions in african rapmusic. 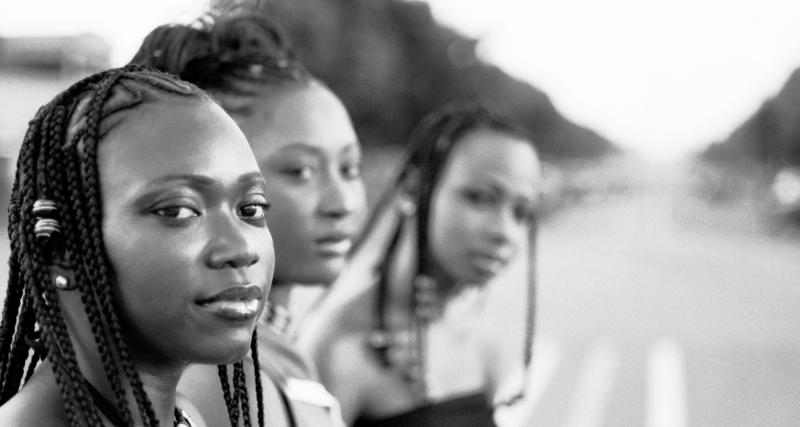 The trio Alif (attack liberate of the infantry feministe) are the first all-female rap group in Senegal. The release of their first cassette Viktim caused a big stirr in a country where traditional authorities like parents, religion or age play a big role. 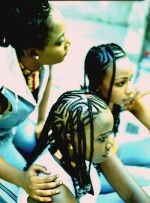 Alif was founded in 1997 and was the first female band to release a tape in Dakar. 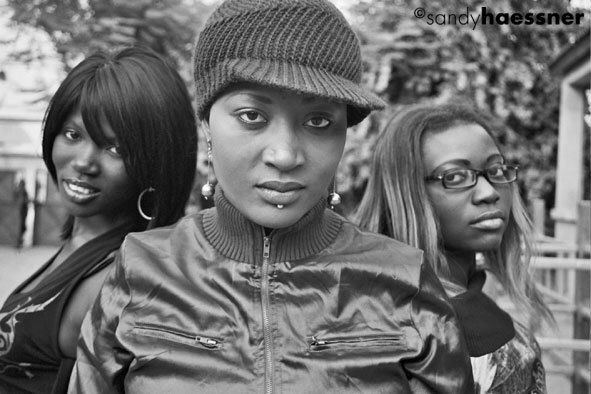 Lead rapper Myriame was featured on many produtions and compilations of most known rappers on the scene. (f.e. Pee Froiss, Didier Awadi of Positive Black Soul a.o.). 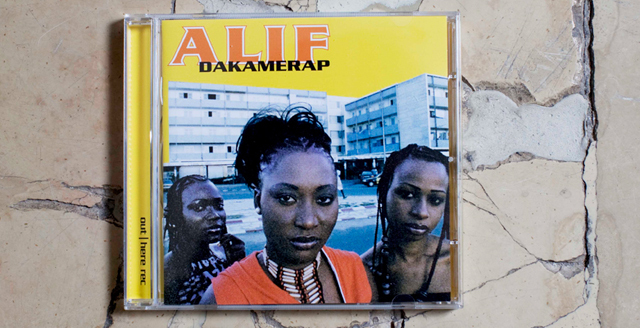 2002 ALIF went back into the studio to record Fokk a track for the Greenpeace magazine; their first song to be released internationally on a EP called Dakar Raps. The reactions were great and they were invited on a first tour to Europe in 2003. For that they recorded their first album. 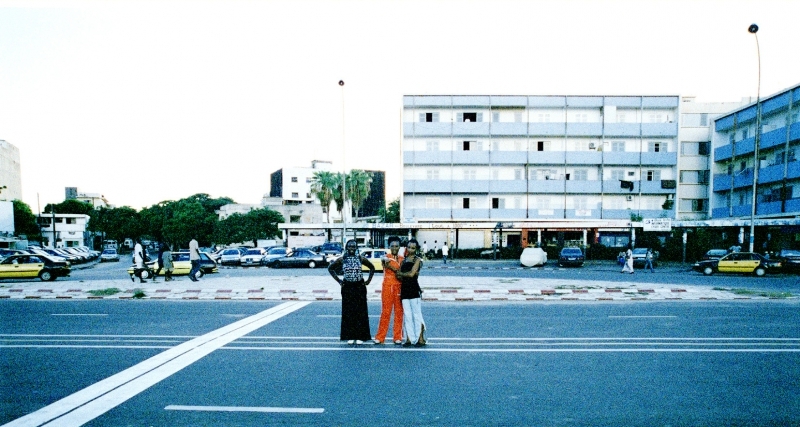 Support came from the German producer Steven Töteberg who runs a studio (Maison Yes) in Dakar and some of the main rappers on the Dakar scene. Most important: rapper Maxi Crazy, the singer and kora player Lamine Kouyate, Xuman and DJ Gee Bayss (Pee Froiss), who did the scratches on the album. Musically the album goes full circle, reconnecting hiphop with its roots in Africa. 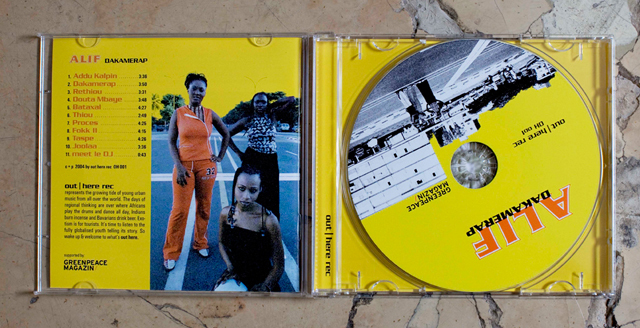 Songs like Dakamerap, Taspe, Joolaa and Bataxal combine traditional sabar-rhythms and the music of the griots with a contemporary blend of african hiphop.